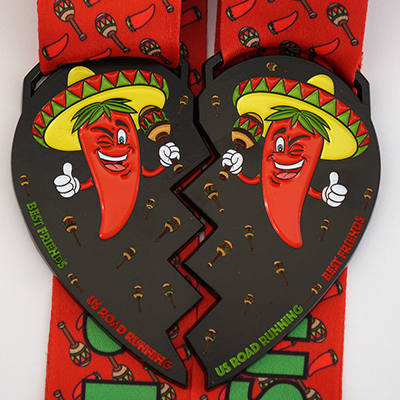 Earn this set of medals with your best friend or you can earn both of them for yourself. Only one person will need to register and you will only be able to post one result for both medals. Both medal are mailed to the person that registers. Both 3.5 inch finisher medal with a 1.5 inch colorful ribbon.